Summer is coming (albeit a little slowly), and with it, the need for some good reads. If you're as much of a yoga lover and literature nerd as I am, a good book recommendation never goes awry. With that in mind, here are some of the top books every yogi needs to read. All Over Coffee by Paul Madonna is the perfect Saturday morning, post-yoga read. 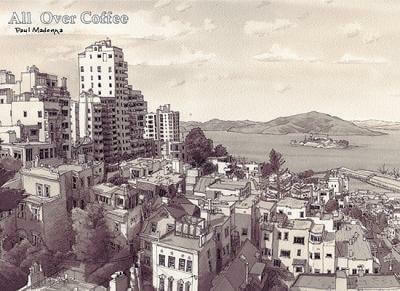 An illustrator from San Francisco, Madonna tries to capture the essence of everyday life through overheard conversations, accompanied by drawings from around the city... but maybe not the parts you notice. Hell-Bent by Benjamin Lorr brings to light the competitive side of Bikram yoga. 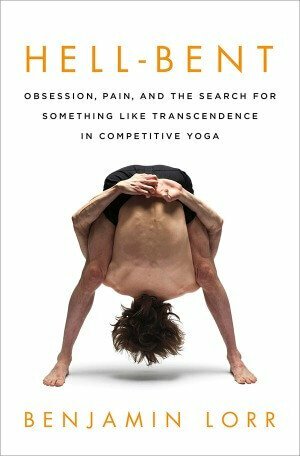 If you've ever wondered what the "Yoga Olympics" look like, or just wanted some insight into the world of Bikram yoga, then this is the book for you. Do you love when your yoga teacher quotes Rumi in class? 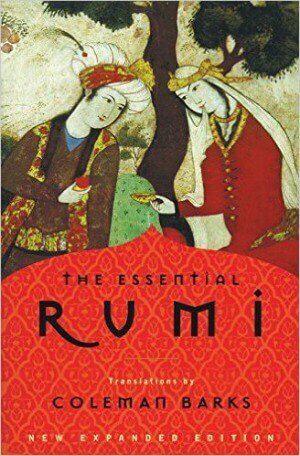 If so, then check out The Essential Rumi. Masterfully translated by Coleman Barks, take some time out of your day to catch up on your Sufi poetry. Asking for things can be difficult, and as it turns out, there's an art to it. Amanda Palmer expands her amazing TED talk in her book The Art of Asking, and tells us why we shouldn't be afraid to ask for help when we need it. Are you looking for a little inspiration in your day? 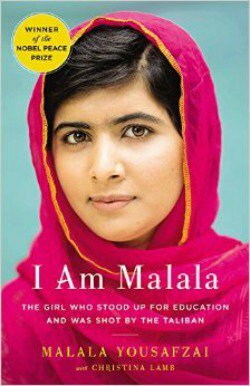 Then look no further than Malala Yousafzai's I Am Malala. Malala came to international attention in 2012 when she was shot by the Taliban for fighting for her right to an education. Now, she continues to fight for girls' rights to go to school, and is the youngest Nobel Peace Prize laureate ever. Want to increase your knowledge of some of the philosophy behind yoga? Then give The Bhagavad Gita a read. 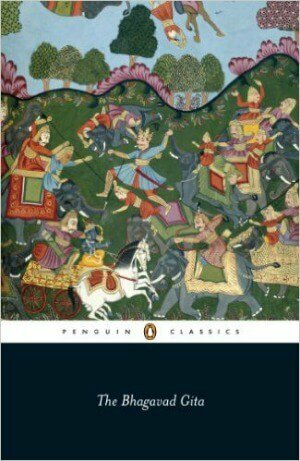 Taking place before a large battle, the Bhagavad Gita depicts the god Krishna giving the warrior Arjuna spiritual enlightenment, while outlining some of the tenets of the Hindu faith, from which yoga stems. It's an interesting read for anyone interested in religion, or the spiritual origins of yoga. How do we understand each other? 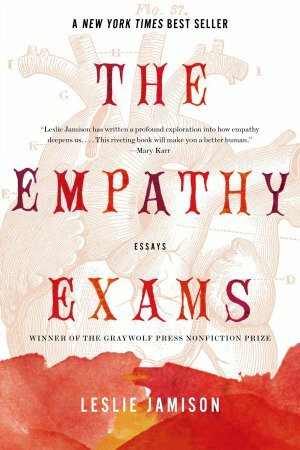 The Empathy Exams by Leslie Jamison seeks to answer just that question. Pick up this book if you're curious about empathy, and why caring for others, walking a mile in their shoes, so to say, is important for both society, and us as people. Full disclosure, this book has a special place in my heart, since my yoga teacher gave me a copy to read before my teacher training. 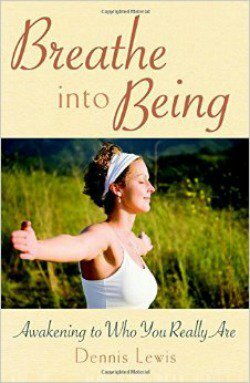 Short and to the point, Breathe into Being by Dennis Lewis breaks down how you breathe, and how simple attention to the breath can lead to new awakenings. Along with exercises to try, adding this book to your yoga practice can make you more aware, and more focused on your time on the mat. 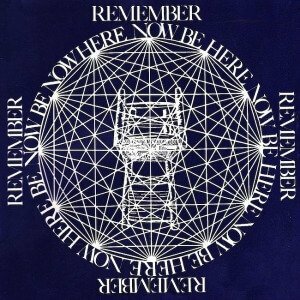 Be Here Now by Ram Dass is a classic. I highly, highly recommend it to anyone interested in yoga. Part art book, part discussion of spirituality, part memoir, no yoga lover's bookshelf should be without it! What would a yoga practice be without a little creativity? 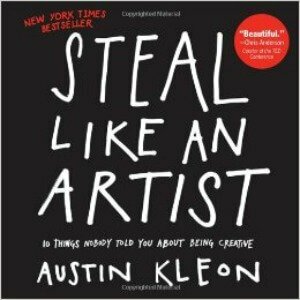 In Austin Kleon's book, Steal Like an Artist, he discusses how to bring more creativity into your life and art. Whether you like to paint, or just try out new poses on the mat, this book will help you get in touch with your arty side, and make you all the happier for it. 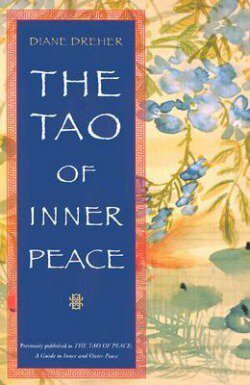 If you're looking to explore different kinds of spirituality, then The Tao of Inner Peace by Diane Dreher may be the book for you! Written in an easy-to-follow workbook style, I read a chapter a day before I went to sleep, and used the lessons taught throughout the next day. An awesome book to read to help expand your search for inner peace and contentment. Do you sometimes wish that you had the control of a Buddhist monk? Well, Buddhist monks do, too. 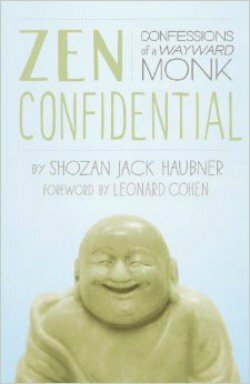 At least according to Shozan Jack Haubner in his book Zen Confidential. An entertaining, laughter-filled memoir about life as a Zen Buddhist monk, this book is a must-read, I'd say. Bring some humor to your bookshelf, and find out just how crazy life as a monk can be. Science and spirituality aren't completely distinct concepts which have nothing to do with each other. According to the Dalai Lama, they're ideas that work in harmony with each other. 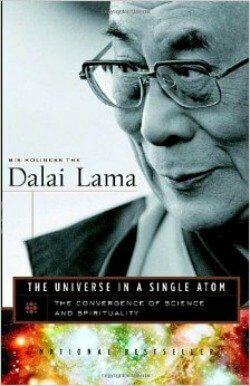 If you're interested in science, and how science and spirituality converge, check out The Universe in a Single Atom by the Dalai Lama. Written in the Dalai Lama's distinctive voice, he raises some interesting thoughts about the nature of science and faith, and what it means for us as people. 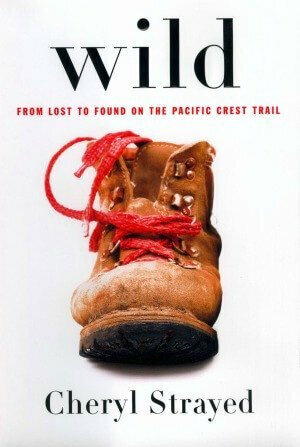 In the tradition of Eat, Pray, Love, Wild is a memoir by Cheryl Strayed about her hike on the Pacific Coast Trail. You can find yourself at any point during your life, whether it's on your mat on in the woods. If you like books like Eat, Pray, Love, or A Walk in the Woods, check out Wild! 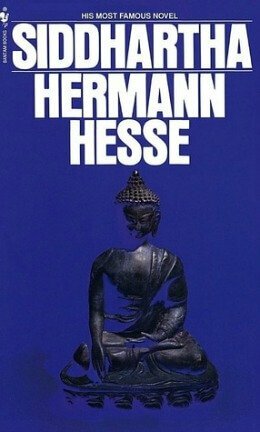 If you're interested in the life of the Buddha, but aren't so big on dry histories, add Siddhartha by Hermann Hesse to your list. While Siddhartha isn't directly about the Buddha, but rather someone else named Siddhartha whose life parallels that of the Buddha, this book is an easy stepping stone to a more in-depth look at the teachings and life of the Buddha. 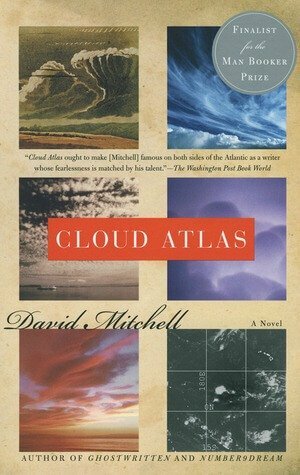 Cloud Atlas by David Mitchell is definitely a must-read. Following the stories of six different people (who may be reincarnations of each other) in six different time periods, Cloud Atlas shows the interconnectedness of individuals over time and throughout history. A truly beautiful read for anyone. Why are some people successful while others aren't? Malcolm Gladwell seeks to answer this question in his book Outliers. 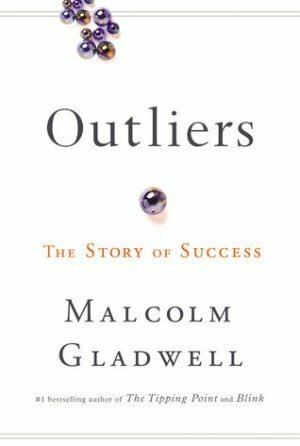 An interesting look into the nature of success, and what really makes some successful. Turns out, it really is all about the journey. 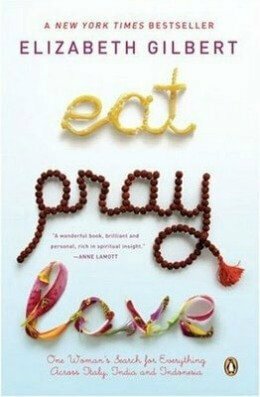 What list would be complete without Eat, Pray, Love? If you haven't read Elizabeth Gilbert's memoir yet, I highly suggest you do. I'm not going to give any more info than that. But seriously. Read it. Do long-winded explanations of religion and philosophy sometimes get confusing? 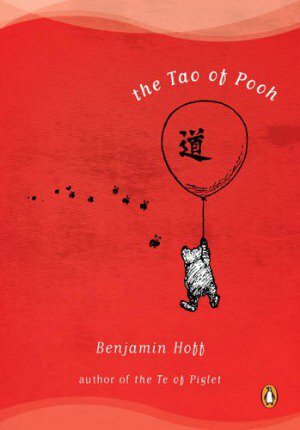 Break it down easily with Benjamin Hoff and his books The Tao of Pooh and The Te of Piglet. Take a trip to the Hundred-Acre Woods, and break down Taoist philosophy with Pooh, Piglet, and the rest of the gang. Reading these books took me back to my childhood, while helping me understand the tenets of Taoism. Check them out yourself! Are you concerned about the future of technology and the media in our lives? 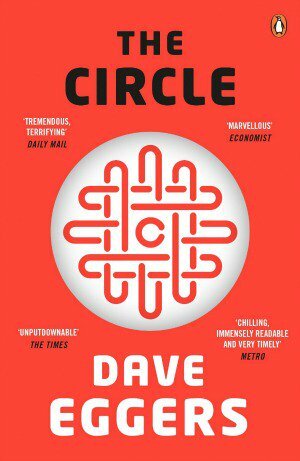 Then The Circle by Dave Eggers may be the book for you. A novel in the tradition of dystopian fiction, this book may seem a little bit too real. At the very least, you'll be encouraged to put down your phone and spend some time in nature, on your mat, or with your loved ones away from any screens. There is beauty to be found in every life, no matter how ordinary. 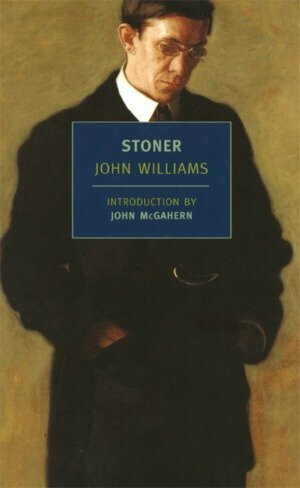 John Williams' Stoner is about just that. Following the very ordinary life of William Stoner, this book shows the beauty, wonder, and every day things to be found in a normal life. Sometimes heartbreaking, and sometimes glorious, this novel is a book that everyone should read. Forgiveness is a powerful thing, but sometimes the most difficult thing to give. No one knows that better than Archbishop Desmond Tutu. 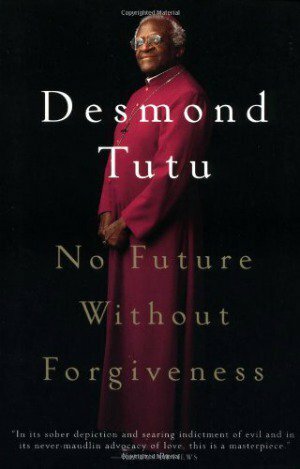 In his book, No Future Without Forgiveness, Tutu discuss the aftermath of Apartheid in South Africa, why forgiveness was necessary, and how to go about giving it. We could all stand to show a little more forgiveness in our lives, and reading this book will help you go about that. 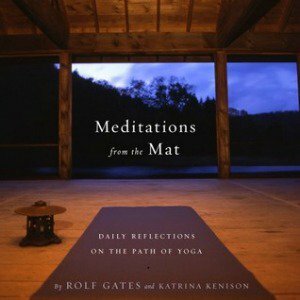 If you're the kind that loves having a daily routine, fitting Meditations From the Mat by Rolf Gates into your life should be a breeze. Following the Eight Limbs of Yoga, with one page to be read a day, this is the perfect book to read either before or after your yoga practice. If you're looking to set an intention in your practice, let this book inspire you! Do you sometimes wish you could pick up and start again? Or do you wonder about the nature of identity? 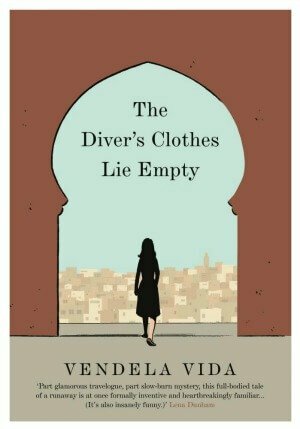 Then The Diver's Clothes Lie Empty by Vendela Vida may be the book for you. Following a young woman in Morocco after her possessions are stolen, including all forms of identity, this book explores the concept of identity, and the freedom that can come from starting anew. What's in a meal? Why do we eat the way we do? 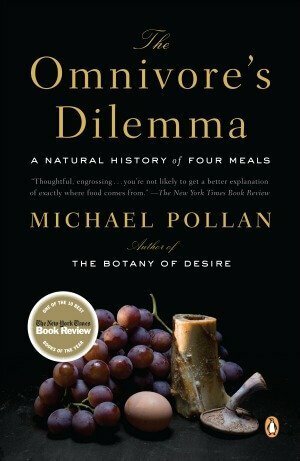 The Omnivore's Dilemma by Michael Pollan tracks the history of food in our society; where it started and where it's going. If you like to be conscious of the way you eat, check out this book (or any of Pollan's books, really)! Did your favorite make the list? Share your favorite books with us in the comments below!